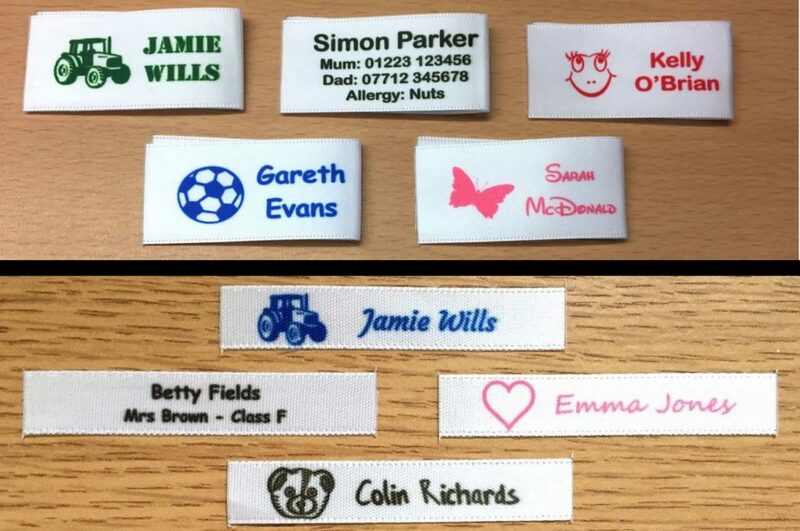 We can offer a wide range of print fabric labels available in several sizes including the popular 10mm and 25mm, our labels are made from super soft double sided satin ribbon and can be printed in full color which means you can personalise them exactly how you want. 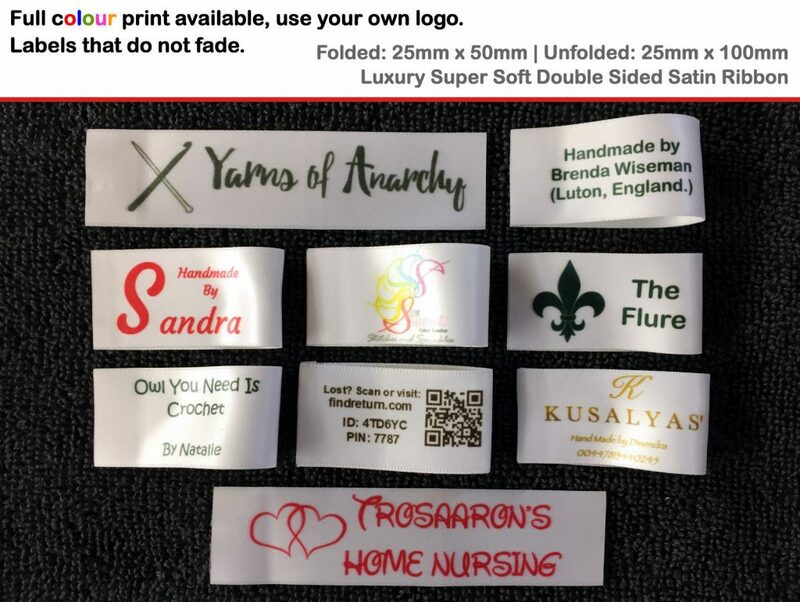 We make all of our labels at our Cambridge UK production facility using a bespoke in-house and proven printing process, normally we sell name labels to both school and nursery children along with care home residents. Our labels can be highly personalized thanks to our bespoke process it makes them incredibly durable and longer lasting compared to similar looking products. So whether you’re looking to have your brand name printed, a full-color logo or would like something else we can help you. We normally make labels the same day and ship them in secure safe packaging via a fast service e.g. Royal Mail 1st Class which means there isn’t a massive lead time. Over the years we’ve made labels for small projects and crafts and also to companies who already make their own products but need better labels.